The inlet pressure control unit model GA05 has been developed for conducting SF6 gas analyses on equipment with little overpressures as well. Low pressure primarily occurs in medium-voltage equipment. 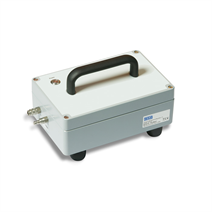 The gas is compressed in the GA05 and provided at the gas analysis instrument with a higher pressure. 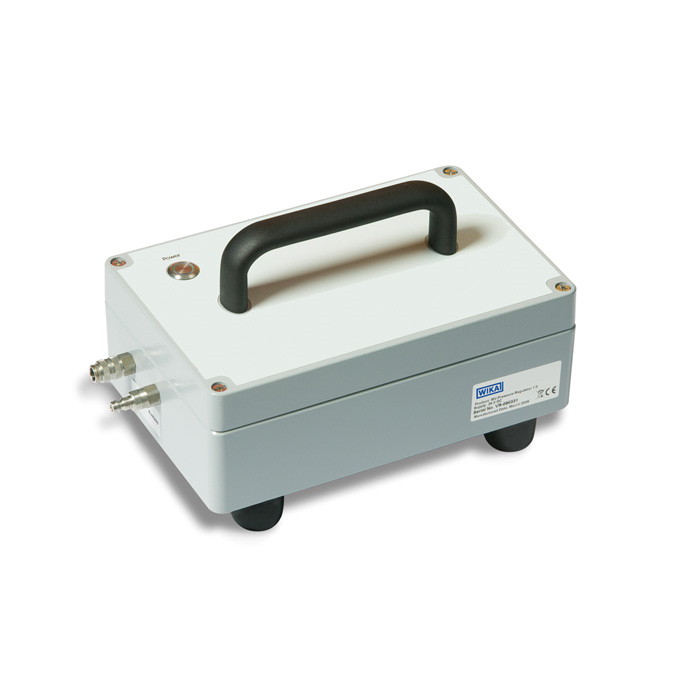 The GA05 is connected between the SF6 gas compartment and the gas analysis instrument. After switching on, the instrument generates an increased output pressure at the output so that gas analysis instruments can work in their inlet pressure range with the usual measuring times. The inlet pressure control unit is value-for-money and has an extremely simple handling. It is suitable for all WIKA gas analysis instruments with automatic flow control. Thanks to the battery operation, the model GA05 pressure controller is the ideal solution for mobile use.